Dr. Muy Sun’s philosophy on dental care goes beyond just filling a broken tooth or relieving symptoms. She seeks to improve and maintain oral health, to bring out the beautiful smile in all of us, and to build each patient’s personal confidence. Communication with patients is of great importance to her: she listens to each patient’s needs, provides personalized and quality dental care, and together with the patient, helps to achieve individualized treatment goals. 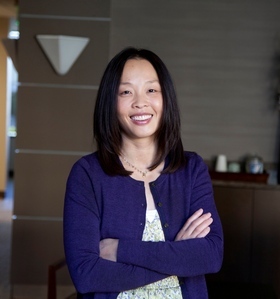 Dr. Sun received her Bachelor of Science and Doctorate of Dental Surgery from the University of Washington, which is consistently ranked among the top ten dental programs in the country. Dr. Sun chose dentistry as a profession because she had a great dentist as a child and wanted people to experience the same positive experience she had. While in dental school, she volunteered and worked in the dental program serving patients with dental anxiety and disabilities. Her passion included working with children, which inspired her to work at a community clinic dedicated to underserved children before pursuing her own private practice. As a member of the American Dental Association, the Washington State Dental Association, and the Snohomish County Dental Society, Dr. Sun is dedicated to staying abreast of the latest procedures and technology. She is committed to continuous learning to strive for excellence in clinical applications, practice development, and patient care. Outside of her practice and commitment to dentistry, Dr. Sun enjoys spending quality time with her husband Michael and their two girls, Clara and Lauren. She has called Washington home since 1979. Call our North Seattle office to schedule your next dental appointment with Dr. Sun! She can’t wait to meet you!